Pneumatic seat height adjustment. Mid Back.Lockable height and width adjustable "T" arm. 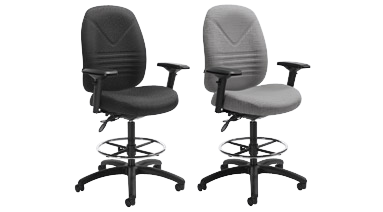 Seat and back angle adjust independently and lock in any position. Fusion Fabric. Carbon.